The Blaze's favorite Major League Baseball team. Perfect Competition was designed to bring the "Absolutes" of baseball to young ball players in order to enhance their careers. To often talented players are not taught the proper mechanics and thought patterns that allow players to maximize their abilities. offer you. We have assembled a team of Professional Players, Professional Coaches, and College Coaches to share their experiences for the ballplayers of the future. The Broward Blaze is proud to be associated with the staff and coaches at Perfect Competition. Minor League Baseball Team from Myrtle Beach, South Carolina. Continental Florida Materials, a Heidelberg Cement company, is a Blaze sponsor. Click here to link to 1st United Bank, a supporter of the Blaze. Click here to visit Community Bank of Broward's website. Visit Roy's Sports Bar in Margate. Check out Roy's website to see what's on the menu and what's going on. Monel, Inc. helps feed the Blaze! Click the logo to learn more. To get some great chocolate recipes or take a virtual tour of the factory, visit the Valor site. 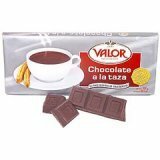 Valor is the Blaze's favorite maker of Spanish Chocolates. After eating their chocolates, Coach Scott makes us run an extra lap.